Spicy Pecan Beer Brittle, Pecan Brittle: Oliver Pecan Co.
Beer Brittle? Don't laugh until you have tried it. 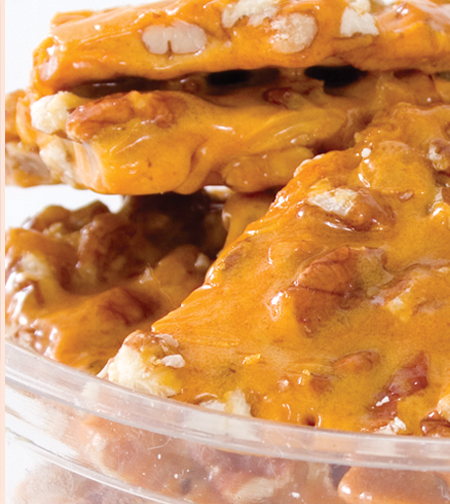 We make our famous brittle the same way but add some great Texas beer (made in Shiner) to give it a unique flavor. For an added kick we add a little cayenne and chipotle pepper.